This week we’ll be talking about one of this author’s favorite pests of the gardens, the Tomato Hornworm (Manduca quinquemaculata). 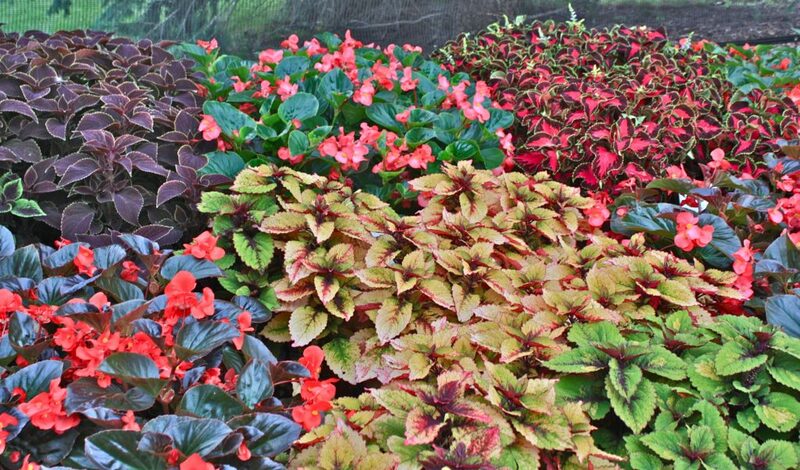 The image below shows a particularly large specimen that showed up in our gardens this week. Named “Hornworm” for the horn-shaped feature on its posterior, the Tomato Hornworm appears in most gardens in mid to late summer, feeding voraciously on tomato foliage. As the size of the worm suggests, a single Tomato Hornworm is capable of consuming a sizable amount of foliage in its larval stage – up to four times its own body weight in a single day! Adult Hornworms emerge after overwintering as pupae around late June. The adults mate and lay pale green, sphere-shaped eggs singly on the undersides of tomato foliage. After hatching, larvae feed and grow in size constantly for around a month. At this point the larvae, having reached full size, will drop from the plant and pupate in the soil. This pupae then serves as the overwintering phase of the lifecycle, emerging as an adult the following year. For this reason, there is only one generation per year for this species. Understandably, you might believe that the Tomato Hornworm is a serious threat to your garden based on its size – this however, is not often true. 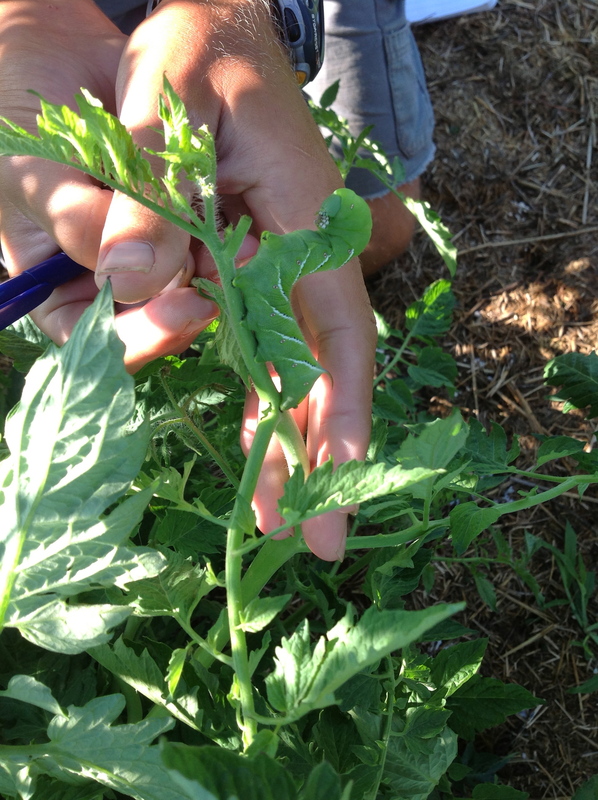 Because of their size, Hornworms are easily noticed and pulled off of plants by hand. They are also controlled very effectively by natural predators, particularly parasitic wasps. Depending on the species of parasitoid wasp, either eggs or larvae are attacked. This predation effectively keeps the populations of Hornworms in check in most situations. For this reason, the Tomato Hornworm is not typically viewed as an economical threat by most growers. To control this pest, simply scout your tomatoes regularly and remove any you may discover. If you don’t feel like killing the ones you find, Hornworms make excellent short-term pets or science projects for children or interested adults! Simply place your captured Hornworm in a nice large glass jar with some holes in the lid and a few tomato leaves. Your kids (or you, if you love insects) will love the speed at which these beautiful caterpillars eat and grow in size. It’s a great learning opportunity, and a nice alternative for everyone (including the Hornworm). As always, thanks for reading! Until next week, happy Hornworm hunting!